Toy Story Land officially opened to great fanfare on June 30, 2018. 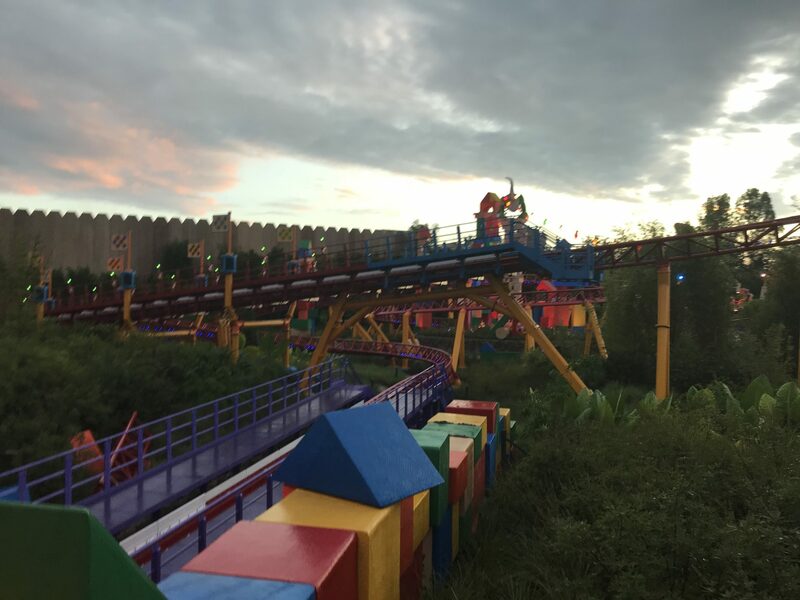 Guests to the new land are magically transformed to the size of Andy’s toys and invited to play in his backyard, which features three rides and a counter service restaurant. 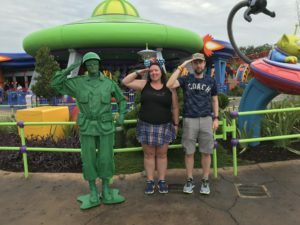 My husband and I had the pleasure of visiting Toy Story Land less than a week after it opened and, don’t get me wrong, we both loved Hollywood Studio’s delightful addition. However, there are a few places in which Imagineers could have upped their game to make this area even more kid-friendly and welcoming– shade, cool-down zones, and shopping. 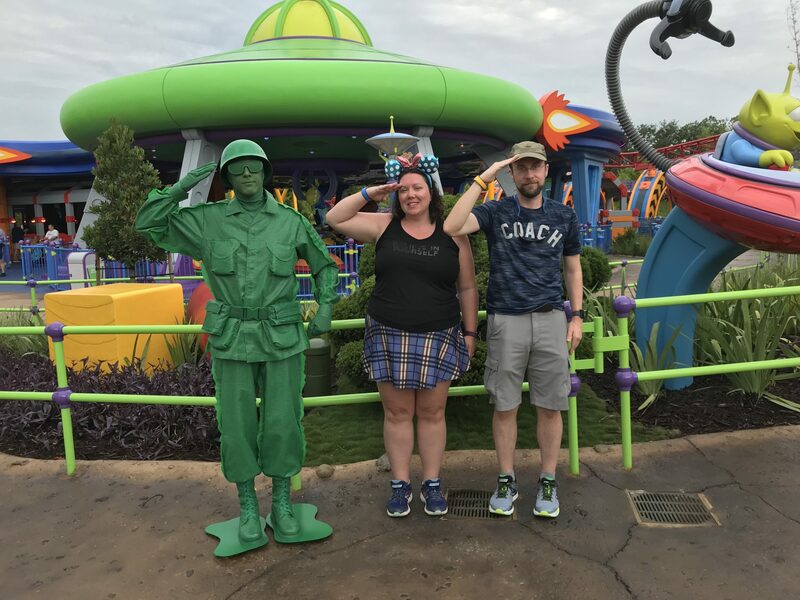 As our day wore on and the sun got hotter, the first thing I noticed was that there is an overwhelming lack of shade in Toy Story Land. The majority of the queues for the rides are in the open, especially the line for Alien Swirling Saucers. 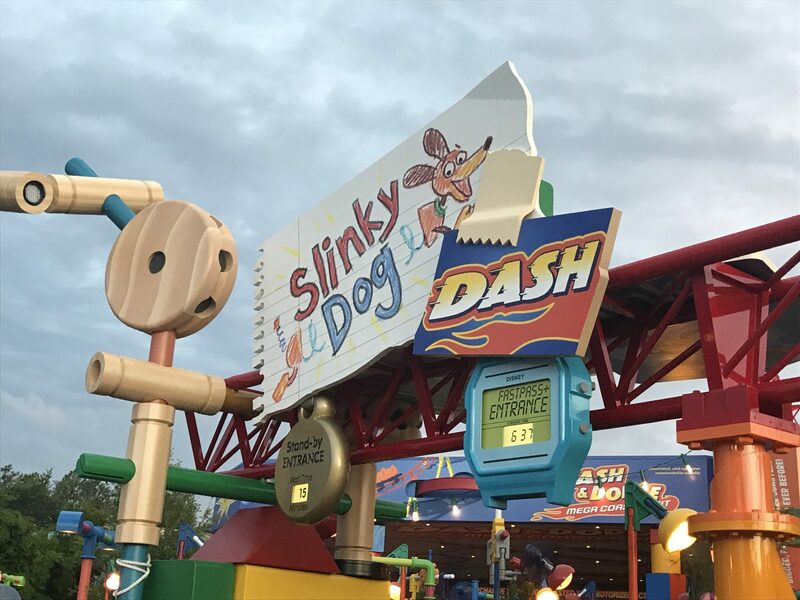 Now, lines for these rides may die down in the coming months, leaving the majority of guests under cover. However, the queue lines themselves wrap underneath open-sided shelters that are somewhat minimally themed in comparison to other Walt Disney World attractions. This left me with the impression that the queues were hastily planned and built, a sad effect for a land that has been highly anticipated by many families and young adults. 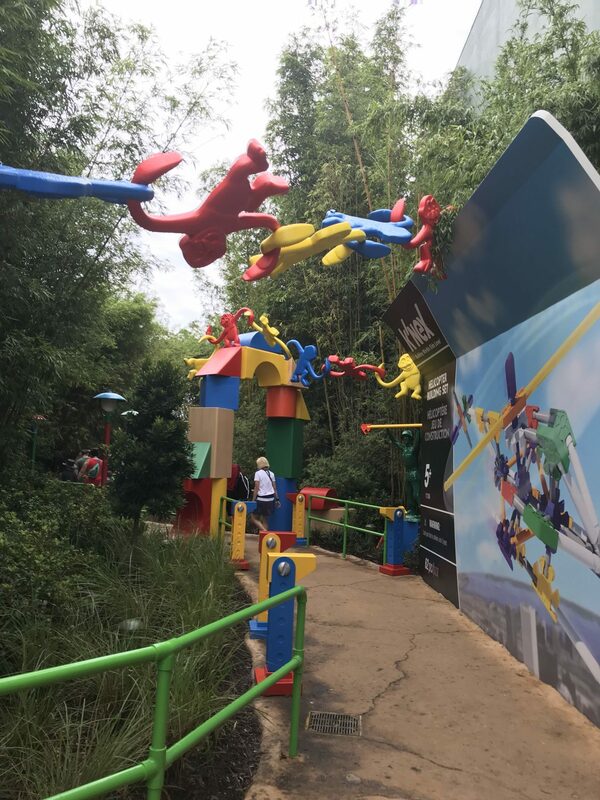 Furthermore, I expected to see some interactive elements in the ride lines, given that the audience for these attractions will mostly be families with young children. However, the queues are only slightly more interesting than what I would have found in the line for the Peoplemover or the pre-renovated Peter Pan. Disney definitely could have improved the guest experience here. Similarly, the character meet and greet locations are open and exposed to the weather. My family used to love to visit Woody and Buzz in their former meeting area in Pixar Place. 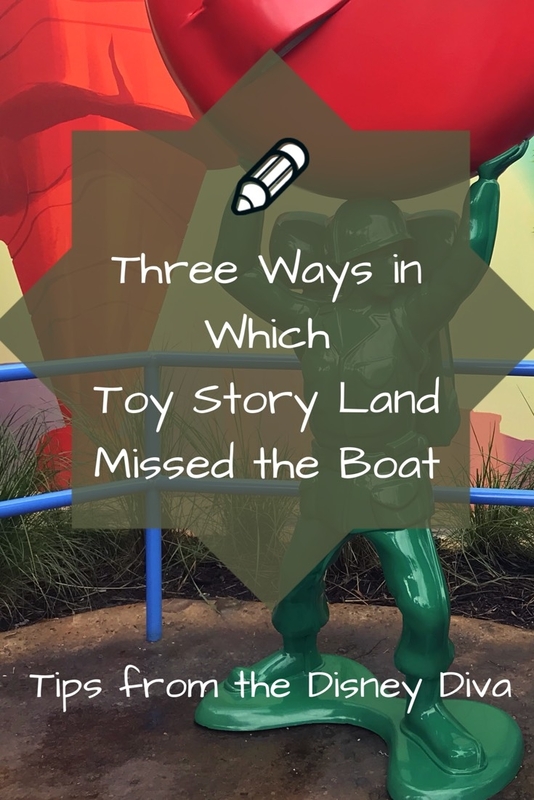 Sadly, all of the interactive props and backgrounds have been left behind, as families are asked to line up on the hot sidewalk to meet their favorite Toy Story friends. Adding a new air-conditioned “home” for these guys would have vastly improved Toy Story Land. For now, grab a cup of water and settle into the sunny queue. As the day wears on, my kids like to seek out the splash pads and water features in Walt Disney World’s other parks. I felt sure that a new one would be incorporated into Andy’s Backyard. After all, what is a garden without a hose? 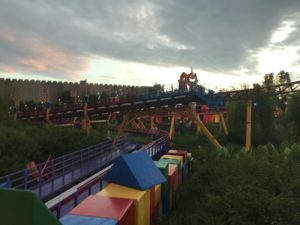 Yet, again, we did not find that Toy Story Land designers had installed a fresh water feature to explore, resulting in what will be shorter-than-usual stays on what could be an awesome place to stay and chill for a bit. Finally, after the Mr. Potato Head pieces went missing from Once Upon a Toy, I had hoped that the opening Toy Story Land would reveal an interesting new gift shop. 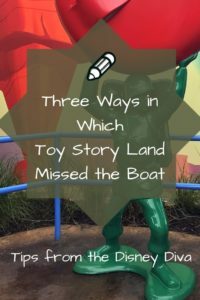 Alas, we found that the closed gift shop to Toy Story Land remains just outside the land itself, in its original spot across from the former entrance to Toy Story Midway Mania. 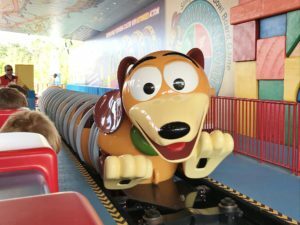 While opportunities abound to purchase Toy Story Land merchandise, I would have loved to have seen Big Al’s Toy Barn, brimming with all our favorite characters and a new Potato Head parts station. Please take my money, Disney. Do I really have to beg you? Ultimately, Toy Story Land is a welcome, imaginative addition to a park that had otherwise been lacking in ways to entertain the littlest visitors. 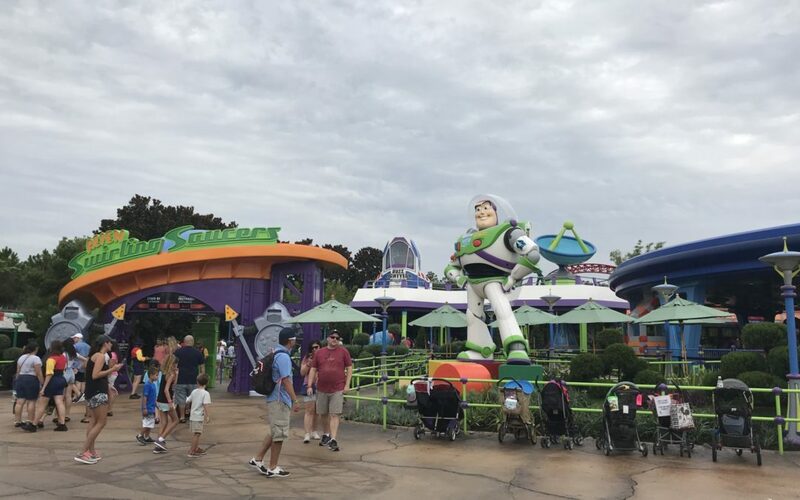 While guest enjoyment has not been limited to the preschool crowd, imagineers could certainly have made just a few improvements to make this new land really sparkle. 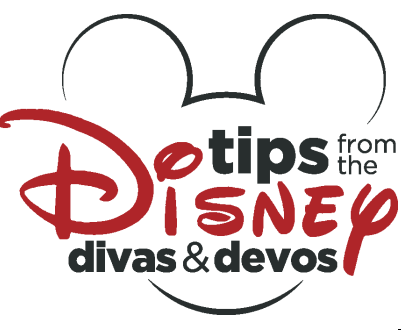 After your visit, cool off in the nearby Disney Junior Live! On Stage or Voyage of the Little Mermaid attractions. Look for your Toy Story merchandise in the various gift shops scattered about Hollywood Studios. Souvenirs abound, but not in Toy Story Land itself. Meet Me at The Wall – The Walls of Disney UPDATED with Toy Story Land Walls!